1. Who will use the spinning reel? 2. What is the weight of the reel? 3. What is the maximum line capacity of the spinning reel? Tips: How to Care for a Spinning Reel? Getting a high-quality reel is crucial, whether you are an occasional, or a professional angler. While you may think that the higher the price, the higher the quality that you can expect. A lot of professional anglers report that some of the best spinning reels are affordable, being under $100. However, with the number of options that are currently available, making a decision can turn out to be extremely challenging. This is particularly true if you only have $100 with you, and are wondering which features need to be taken into consideration when making your choice. Rest assured; there is affordable spinning reels under $100 that will surely address your needs. With this price range, you can already expect to walk away from a shop with a quality reel that will also fit your fishing style. This guide will assist you in making a well-informed choice. Having that 100 dollar budget will not limit you from getting a good fishing reel. In fact, it is good news on your part to know that there are several options out there. 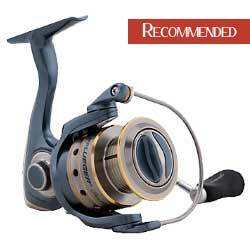 Take, for example; Amazon.com has one of the most robust lists of fishing reels under this category. 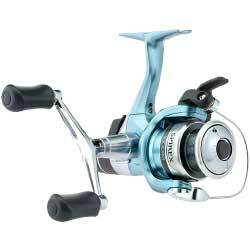 We have created a list of the top 5 best spinning reels under $100. The features are summarized, thus allowing you to get the best out of each model. Each item included in the review has been listed as top recommended by professional anglers. You will surely be able to find one for yourself too! Penn is a brand that is trusted in the fishing world. 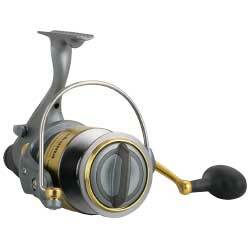 It provides dependability and power at a very affordable price point, making it one of the best FreshWater spinning reels under 100 dollar price range. It has been constructed using highly durable metal body and side plates. The Penn Fierce 4000 Spinning Reel is highly sturdy, and well designed in keeping precise gear alignment despite heavy loads. It offers a tested oiled-felt drag system which is reliable in taming fishes. Built using machined and anodized aluminum spool. Comes with a Techno-balanced rotor that provides smooth retrieves. Uses 4 stainless steel ball bearings and main shaft. Features an infinite anti-reverse feature. Holds 230 yards, with a 10-pound mono-filament line. 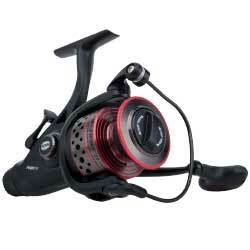 Overall, Penn Fierce 4000 Spinning Reel is a good choice for those who have a tight budget. Aside from the fact that it is very durable, it can also handle smooth retrieves. This product has received fantastic feedback's, including a high-quality performance. At its price, you can get good value for the money. The Shimano Spirex RG Spinning Reel is a model that allows reliability and technology to meet. It uses the highly respected Propulsion Line Management System which has been considered as the standard in this industry. One of the best features is the S Concept reels, which is a favorite for small-mouth and walleye anglers. Offers longer and smoothing casting capabilities. Uses a graphite frame, rotor and side plate. This shield comes with 6 shielded stainless steel ball bearings for smoother performance. The Shimano Spirex RG Spinning Reel is well accepted by many anglers, both newbie and professionals. What users love about this option is the fact that it gives good value for the money. The Abu Garcia Orra S Spinning Reel is a new model under the lineup of the Orra S category. It introduces a Rocket line management system and a braid ready spool which has been designed to improve handling using braided line, thus removing any possible appearance of braid knots. This model comes with a lightweight IM-C6 body which is both compact and sturdy. Uses a C6 carbon stem which helps in reducing weight without necessarily having to sacrifice strength. Comes with 6 HPCR stainless steel bearing system which offers a consistently smooth function. This model provides incredible resistance to corrosion. This budget reel is packed with performance and technology, making it ideal for all your specific fishing needs. The power of the Abu Garcia Orra S Spinning Reel model is sufficient enough for most applications required of it. Reviews of this spinning reel are mostly positive. A lot of users are impressed by its light weight and smooth performance. With the Abu Garcia Orra S Spinning Reel model, it has become easier for anglers to control the fish, yet not breaking the line. While this is mainly due to the line and the rod, its reel plays a vital role as well. Another model that made it to the list of the best spinning reels under $100 is the Okuma Coronado Baitfeeder Spinning Reel. It is a model that is graphite based, which means that it has a lot of things to say about its quality. Comes with a precision machine cut brass pinion gear. The CD-80a is patented with on/off auto trip bait feeding system. Uses Japanese oiled felt drag washers. Equipped with a Dual Force Drag (DFD) system. Purchase of this product comes with a 1-year warranty. There are several models under this brand, and Okuma Coronado Baitfeeder Spinning Reel is one of the options that received the most positive feedback. The quality of this reel is high, still keeping its affordable price. There are several models under this line, categorized by the sizes. However, the general features included are just the same. For one, the reels are made of fully reinforced graphite body, with a ported machined aluminum spool that made it light and durable. This basic style and design make this inexpensive spinning reel a standout in this category. The Pflueger President Spinning Reel has nine stainless steel ball bearings. This spinning reel comes with a Sure-Click bail design, offering an easy to hear indicator as the bail is opened completely and ready for casting. It comes with an anti-reverse feature designed for over-sized bail wire, as well as sure hook sets. Easily converts for both hand retrieval, allowing left handed anglers to use this spinning reel. The handle of this spinning reel is carbon designed, and equipped with EVA knob, making it even lighter. The interior part of this spinning reel is made of materials that are corrosion resistant, shielding the bearing up to 10 times for better resistance to corrosion. The drag systems of this spinning reel is sealed with carbon, thus preventing entry of water and debris. A lot of the actual users of the Pflueger President Spinning Reel agree that this model is beautifully designed, affordable and durable at the same time. They love its smooth drag, making it perfect for catching big fishes. The five reel models mentioned above are just some of the available options these days. The supply of choices seems endless as the market is currently filled with options. As you weed through all of your options, there are certain things that you need to take into consideration. There are also reels that are good for an all-around purpose. With all of these, it is imperative to determine the type of fisher that you are, including your purpose of fishing. Are you a beginner, or an expert angler? Your answer to this question will help you make the right choice. ​One thing that concerns anglers during their several hours of fishing trips is stress and fatigue which comes as a result of spinning and casting repeatedly. The spinning reels above, as well as the other options out there, come with various weight differences. While most of the reels fall under the same range, you can look into the difference between graphite and aluminum reels. You can purchase affordable spinning reels which work amazingly with an ultra light line. There are also others who go for heavy duty options, perfect for deep sea ocean fishing. However, like most anglers, you may want to have a reel which can handle both. If this is true in your case, you can select a mid-range option, that is, 10-12 pounds maximum line capacity. Taking good care of your spinning reel can certainly make a huge difference in your actual fishing experience. After all, fishing is not the easiest or the cleanest activities in the world, which means that you need to expect that it will collect dust, dirt, and sand in different places. 1 Cleaning the fishing reel’s open face is vital, as the build-up of sand grains may result in more problems. It is highly recommended to wash the entire body of the spinning reel after every trip. Keep in mind that failure to keep your reel maintained can result in very expensive repairs. 2 While lubrication may not be mandatory for new reels, it is recommended to grease or oil your spinning reel. Most models come with instructions on how to do so. Follow the instructions accordingly as some reels use specific oils for maintenance. 3 Look for a reliable service shop which will do the maintenance check on your spinning reel periodically. While you can do an exterior cleaning, deeper support may be required from time to time, especially after great fishing trips. The average expected lifetime of a spinning reel is about 3 to 5 years. Several different factors influence this. The expected life of a model may vary depending on various factors. One of them is the frequency of use of your reel. If you use it more frequently, you can also expect that it will wear out sooner compared to those that are used less. However, this expected lifetime can still increase depending on your maintenance and care. Out of the spinning reel models mentioned above, it is very clear that regarding features and popularity, Pflueger President Spinning R﻿﻿ee﻿﻿l is the clear winner. 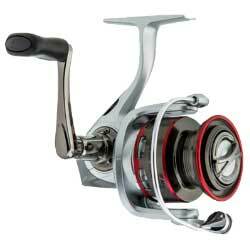 It is a spinning reel type which is classified as the best in its class. The reel comes with an aluminum handle, making it highly durable. It also comes with an aluminum ball wire design which prevents it from misshaping – a problem that is very common among spinning reels. This spinning reel is recommended for use only for freshwater fishing, and may not be ideal for saltwater. However, when used for the purpose, it performs as expected. Indeed, the budget is not a problem when it comes to searching for the best spinning reels under $100. With the options that are available, you can expect an exciting adventure on your next fishing experience. Most of the spinning reel options are of high quality, and most importantly, offering value for the price!